Our mission is to exceed our client’s expectations by endeavoring beyond industry standards in craftsmanship, integrity, and design, while providing competitive prices. We place a high importance on integrity. We value our clients business and we want to ensure that they have complete trust in our work as well as the way we conduct our business. We are a business that pays close attention to detail. We want to ensure that our job-sites are clean, your carpet is protected, layouts are exact, and our clients always rest assured that we care about them. We are a progressive company. The stone industry is always introducing new products and installation methods. We want to take advantage of superior technologies and methods that will improve our business, as well as improving the quality and longevity of your project. As we utilize new methods and technologies, we will remain competitive in our pricing. 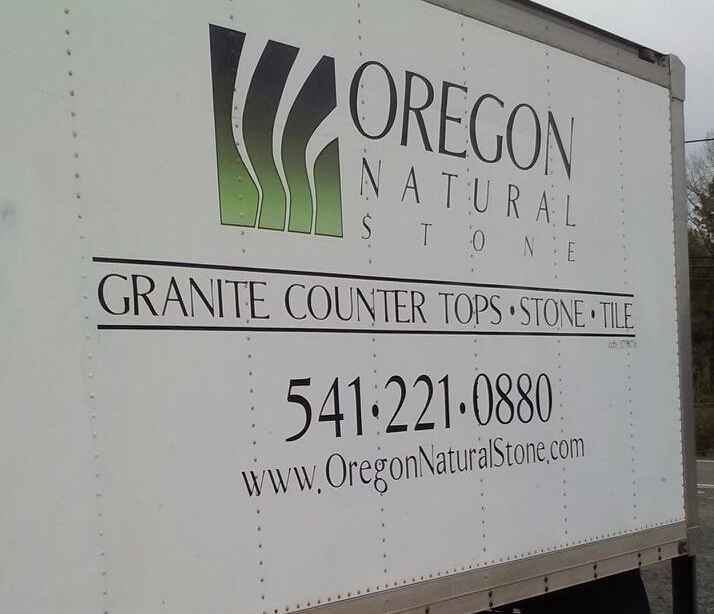 We were founded in 2003 as a tile company called “Oregon Tile.” In 2007, we changed our name to “Oregon Natural Stone” as we decided to specialize in working with natural materials. 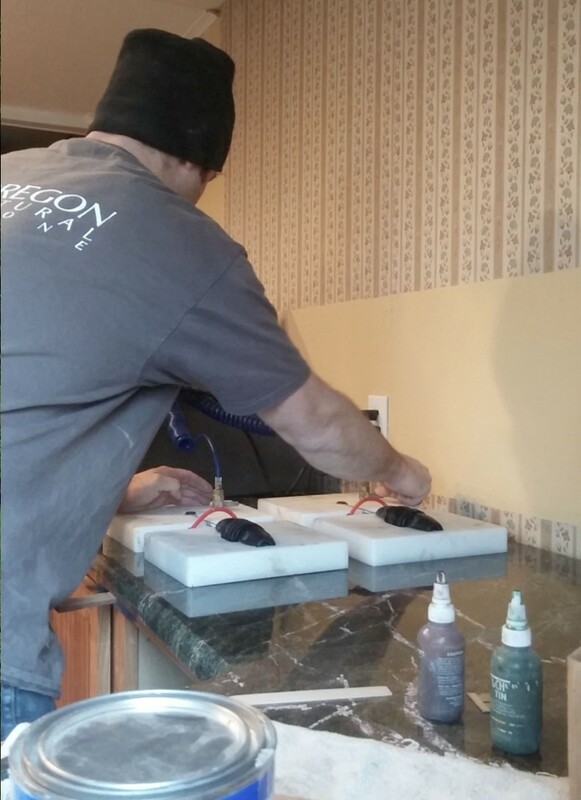 We started as a custom tile installation business, and have evolved into a granite slab countertop company. 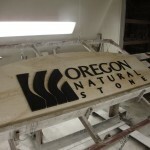 We also occasionally do stone signage, grave markers, and custom art pieces.